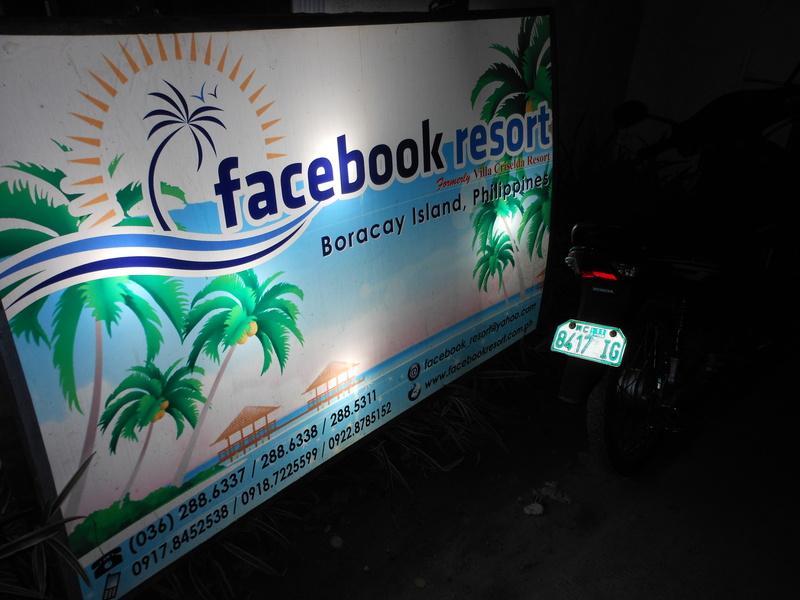 Okay, of course there are plenty of great restaurants and bars on the small island of Boracay. 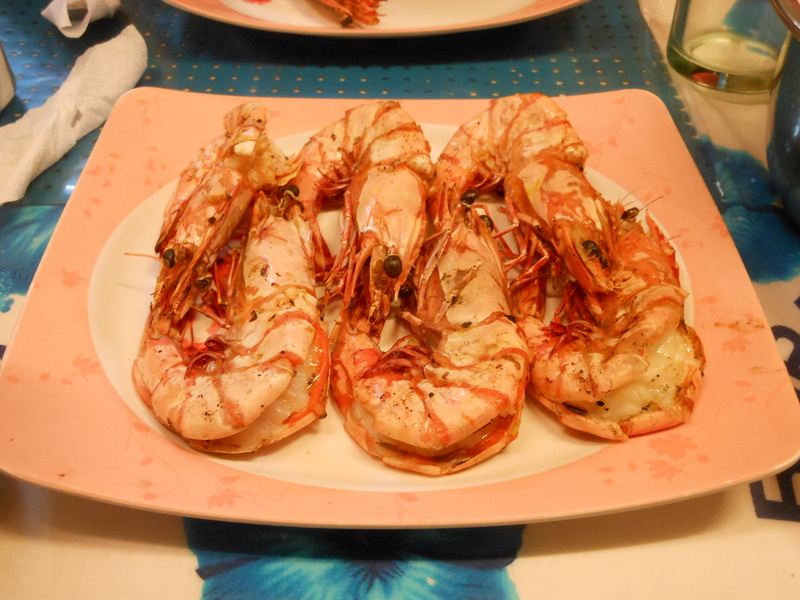 But, there’s no way you can visit the island without experiencing a lunch or dinner at D’Talipapa Market. 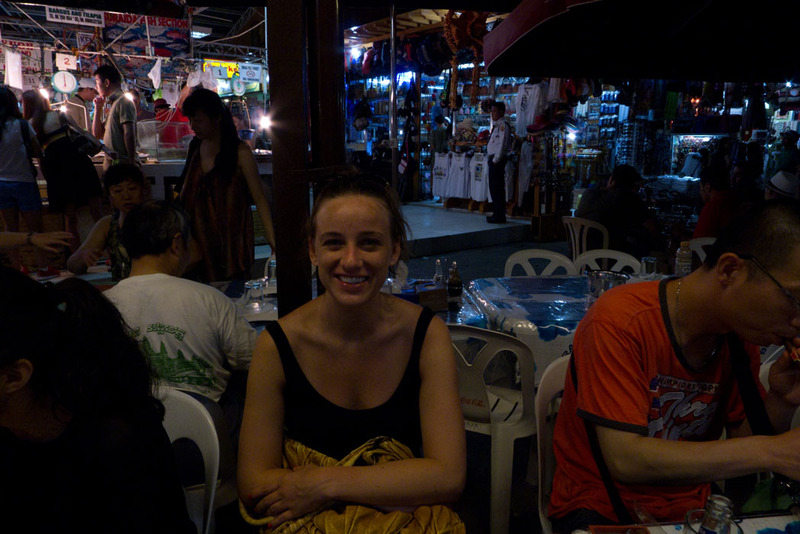 Sarita and I went one night, and then decided we really didn’t need to eat dinner anywhere else on our trip. Getting there is simple: walk past the D Mall, enter through a dark alleyway, pass the Facebook Resort (yes, there is a Facebook Resort), and voilà! 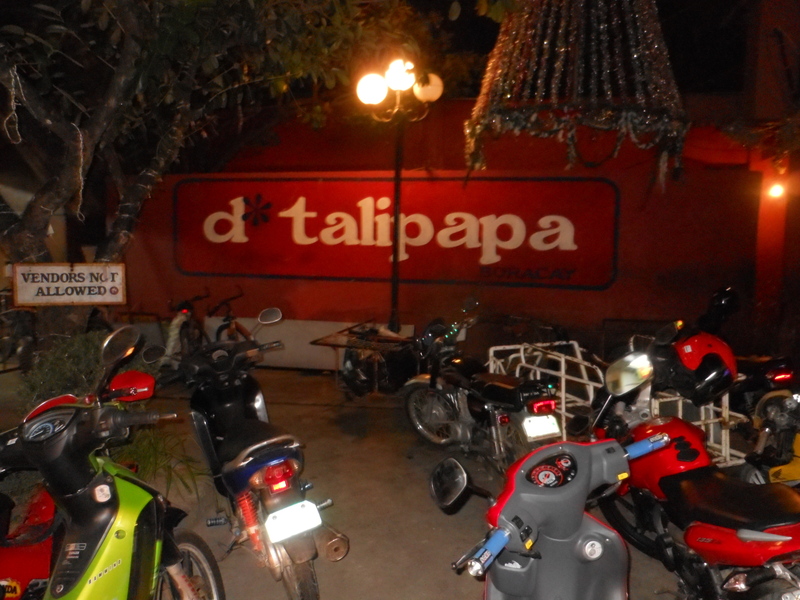 D’Talipapa. There are just a few simple steps you need to take before you can sit down and feed your face. As you enter, take a good stroll around the wet market to check out all of the fresh catches of the day (still alive and kicking), which usually involve a wide variety of decadent-looking king prawn, squid, jumbo lobsters, crab, and fishes of all form, awaiting their inevitable demise to end up in mah belly. 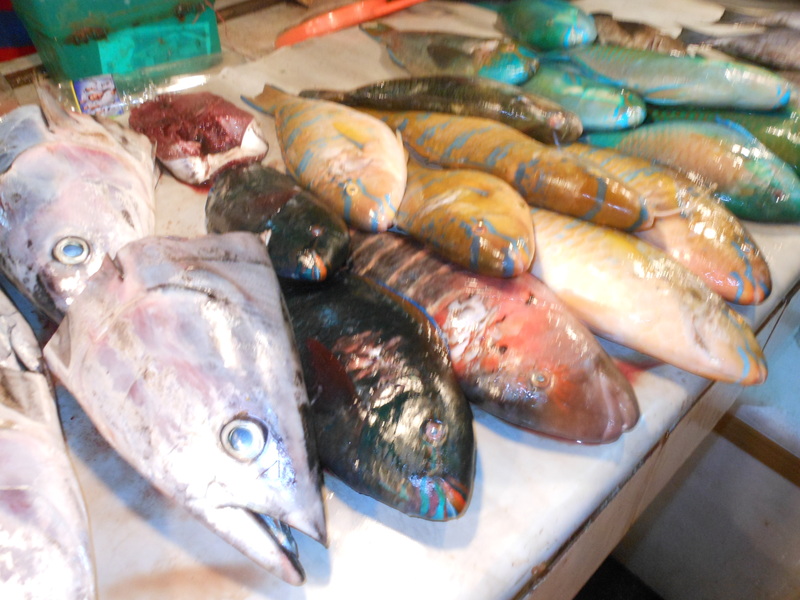 Note: the wet market is just as messy as it appears and sounds, so don’t wear nice shoes and plan to leave wreaking of fish. Another important note: bargain for your goods, and never take the first price. I generally leave this up to Rita because she knows how to fight ’til the death. Just check out her bangin’ haggling skills in the market. 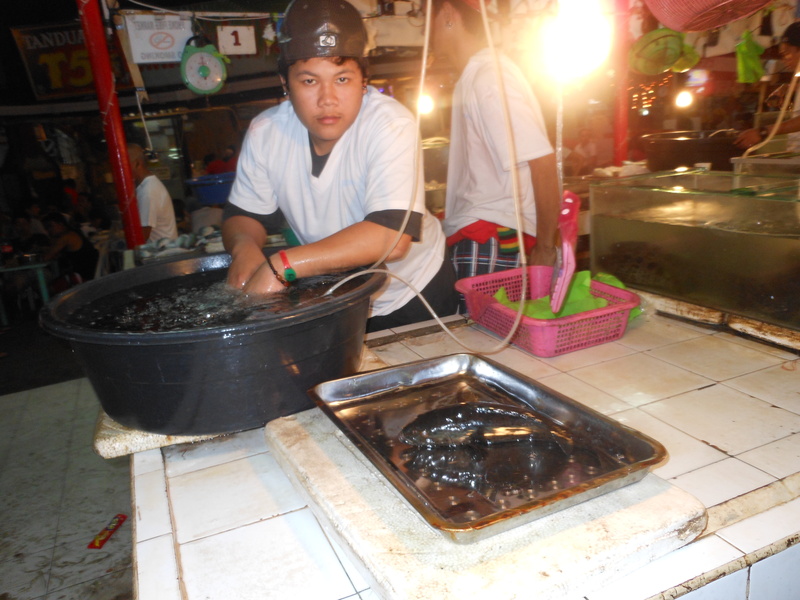 She saved us 50 pesos (a little over a dollar) on our jack fish. SCORE! Now that you have your main course, you need to choose your sides. 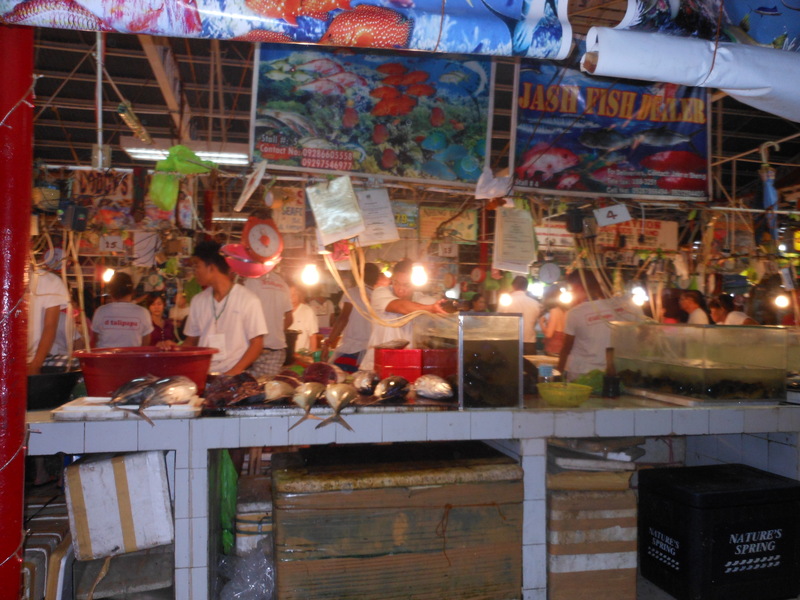 Wander through the veggie markets conveniently located right next door. Just make sure to study your asian vegetable guide. 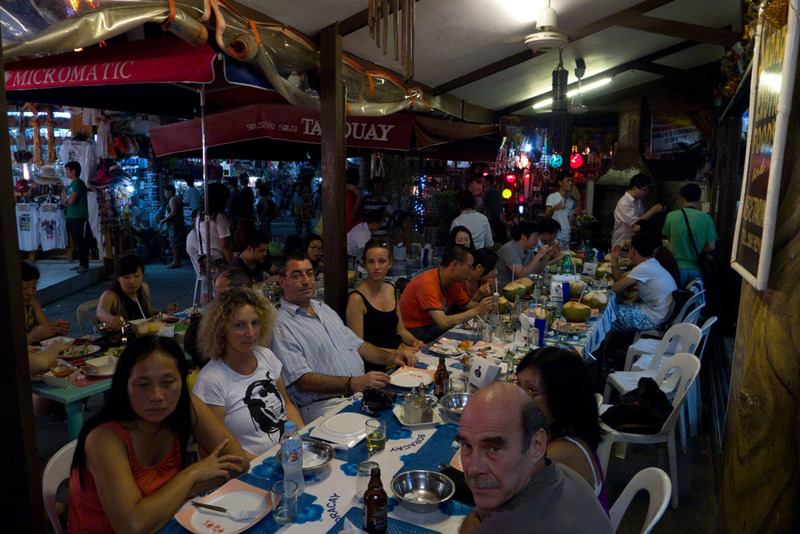 We made the mistake of having the restaurant sauté bitter melon, and it did not taste very pleasant. Which leaves us to our final step: picking a restaurant to prepare your food. There are a bunch of different ones to choose from surrounding the market, and you can tell them how you want the food cooked (grilled, fried, sauteed) along with a sauce or have them make the decision for you! 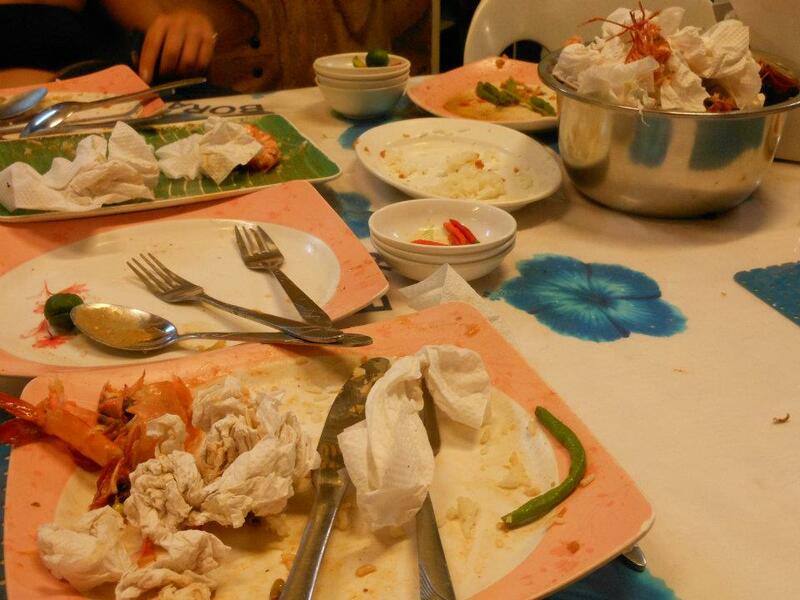 If you want any extra items like white rice, just simply ask the cook and they will bring it out with your dish. 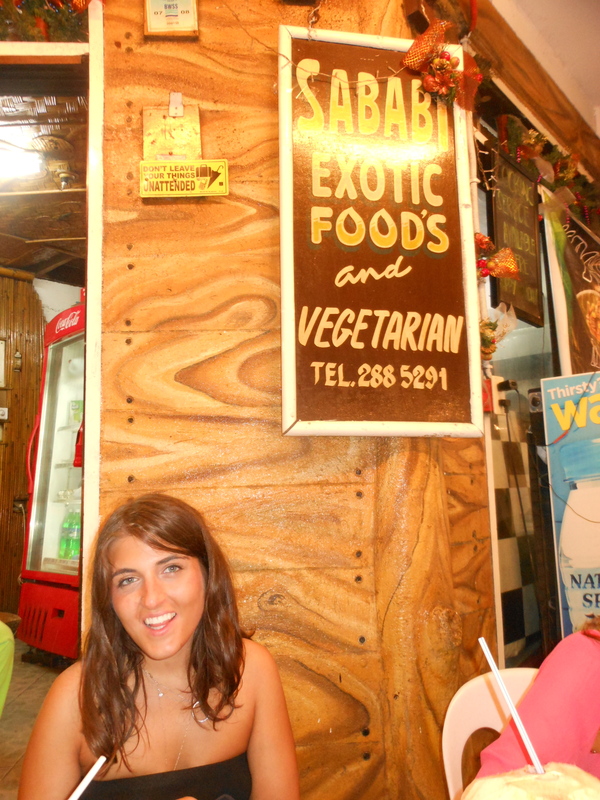 Our favorite restaurant in the mix was Sababi. And, that’s it. 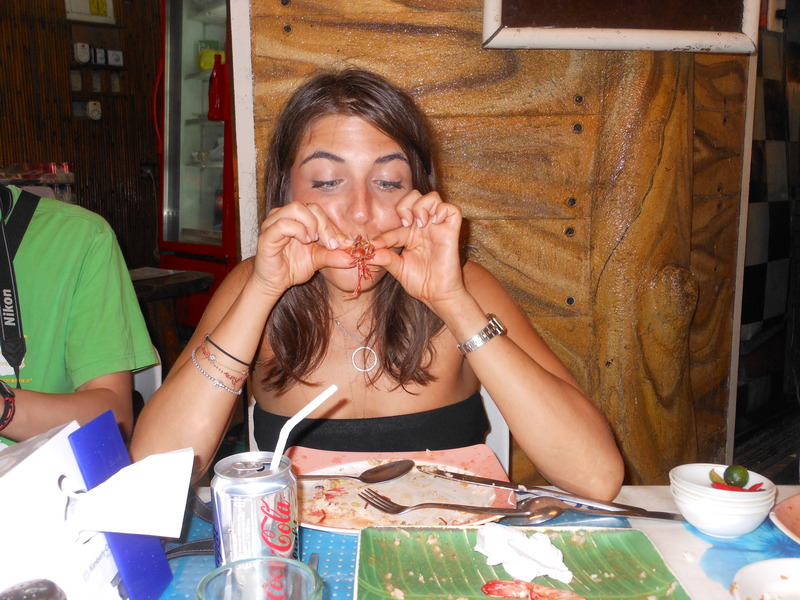 Go get your grub on in Boracay!